perplexed - I'm guessing sherry keg, the maturation acts ehr additive as subtractive - 10-15 years in a Firstfill barrel (very very aromatic wood / tannins but still quite active - could be less in a smaller barrel) the alcohol content would be up to 50 Type%, probably a Highlander or Speyside from a UA. Light , Fruity and floral, lemon cake. Light bodied, fruity and malty , delicate honey. F: Straight forward, with some floral - spicy - drying notes to it. C: Quite enjoyable this one. From the start a beautiful lemony freshness, some floral touches, especially a hint of lavender. Then, a more traditional frame of cereals, even almond. In the mouth, it is the cereal notes that appear first, followed by the delicious acidity of the lemon. A confirmation of the nose but in an inverted order. Finale of medium length. However, the lemony freshness recalls our memory for a long time. N: That is a wonderful combo of all the best things about, well, many softer, floral malts from all across the board. Divine, grassy, estery, honeyed, fudgy malt with a touch of Lowlands magic in the yeasty, bovril/meaty department. Theres a fair amount of pollen here too, from shrubs and trees more than low lying ornamentals and shades of soft, sweet lemon, orange and lime citrus as well as apricot and cheddar with ginger, but its the balance and delivered pace of honeyed malt and soft fruity wood oils that impress me enough to score this higher than the occasional Port Ellen or Brora. Its not perfect though, theres a chalky cardboard note that will continue to the finish but its a whisky that rewards intrepid souls. F: ….reaching an oily/waxy, sour, salty, malty cul-de-sac pause before setting off again. It becomes salivating once more, showing a touch of bourbon, mint-chocolate woody freshness, lemon seeds,… constantly salivating. Light malty, chalky, saline water concludes with those lemon seeds, vanillas and a light hot chocolate that endures. Long development, long finish. C: This is going to be a real challenge for some. 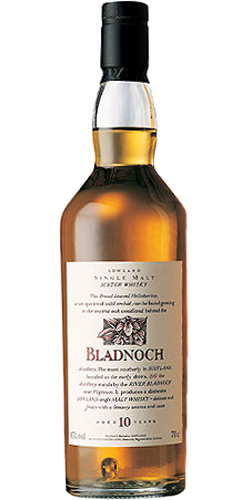 Malts like these don’t compete on the same levels compared to more brazen and more apparent malts but it doesnt mean this Bladnoch bottling isn’t perfect in its own way. Who is to say a Hawk Moth isn’t just as brilliant as a Golden Eagle. Top Trumps aren’t always won by the biggest guns. This is a subtlety challenging whisky for a palate used to upfront, bold flavours against pastel shades. Its easy to like the big, bold, abv brash, bottle bruisers and its even easier to miss the subtle gems. The nose is one that will keep you guessing. The palate is feed with constant interest with a subtle but salivating finish that tops off a special bottling. Where it loses marks is in its relatively weak arrival where 46% or more could have really boosted its flavour profile. This bottle took a few months before the whisky began to reveal its full wonderment. Just as some whiskies deteriorate quickly once opened, others improve. i was in no rush to finish this bottle. 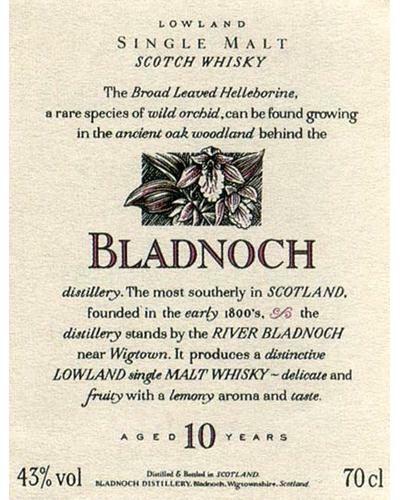 One of the best in the Flora and Fauna range and a cracking Lowlands, period.